Suppose there are two reference frames (systems) designated by S and S' such that the co-ordinate axes are parallel (as in figure 1). In S, we have the co-ordinates and in S' we have the co-ordinates . S' is moving with respect to S with velocity (as measured in S) in the direction. The clocks in both systems were synchronised at time and they run at the same rate. 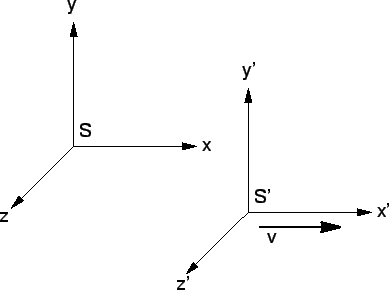 Figure 1: Reference frame S' moves with velocity (in the x direction) relative to reference frame S.
This set of equations is known as the Galilean Transformation. They enable us to relate a measurement in one inertial reference frame to another. For example, suppose we measure the velocity of a vehicle moving in the in -direction in system S, and we want to know what would be the velocity of the vehicle in S'. This is the result our intuition is familiar with. We have stated the we would like the laws of physics to be the same in all inertial reference frames, as this is indeed our experience of nature. Physically, we should be able to perform the same experiments in different reference frames, and find always the same physical laws. Mathematically, these laws are expressed by equations. So, we should be able to ``transform'' our equations from one inertial reference frame to the other inertial reference frame, and always find the same answer. Indeed, it does not matter which inertial frame we observe from, we recover the same Second Law of Motion each time. In the parlance of physics, we say the Second Law of Motion is invariant under the Galilean Transformation. In the tutorial, you show that the Law of Momentum Conservation holds regardless of the inertial frame a given collision is viewed in. This is done by specialising to a collision where all velocities are in the -direction. How would you do this for a more general collision ? So far so good ! We have Classical Mechanics, a beautiful theory, as it has an elegant independence of how you observe it. There is a sense of poetry in how ugly terms, arising from observation in a different frame, eventually drop away, until we are left with physical laws which are invariant under the Galilean Transformation. But .... as time passes, it becomes clear we are in a fools paradise ! Now, these equations are considered to be rock solid, arising from and verified by many experiments. Amazingly, they imply the existence of a previously not guessed at phenomenon. 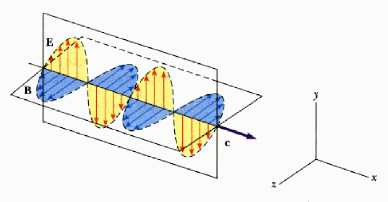 This is the electromagnetic wave. Every electrical engineer, following Marconi, must appreciate this ! To see this in detail, take the time derivative of the second last equation and the curl of the last. which represents a wave traveling along the x axis with velocity c.
It is clear therefore that Maxwell's Equations are highly predictive. A diversity is unified in a simplicity. The various phenomena of radiowaves, microwaves, infrared, visible and ultra-violet light, X-rays and gamma rays are all electromagnetic waves, differing only in their frequency. They all travel at the same speed. Even that speed is specified : m/s. The speed appears independent of the source and the observer.